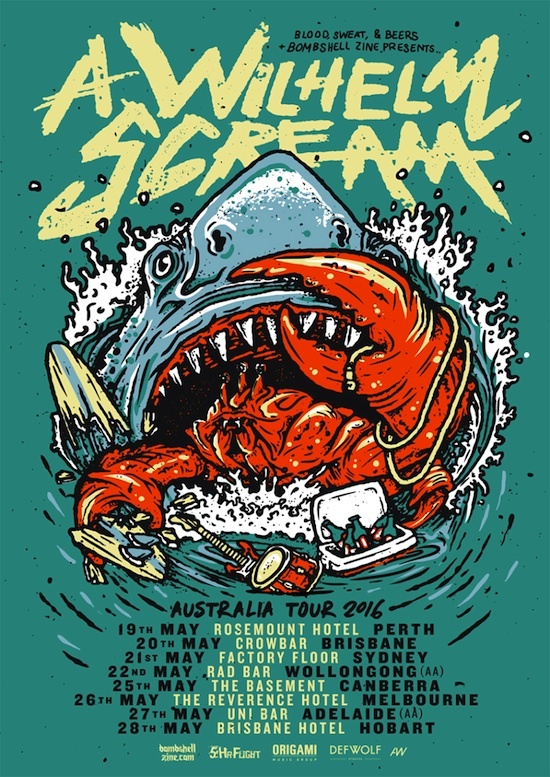 ​Massachusetts natives A Wilhelm Scream will return to Australian shores this May for an epic Australian tour. Recognised internationally for their relentless, energetic and downright exhausting live shows, this band is a riff-heavy, overwhelming assault on the senses. They never fail to disappoint. AWS, as they are affectionately known to their multitude of fans worldwide have been hauled “...one of the most creatively engaging and thoroughly fun and exciting bands in punk” and you'll get absolutely no arguments here. Not a band to do things by halves, AWS will visit eight cities across both coasts and are even catering for those not tall enough to see above the bar with all ages shows in Wollongong and Adelaide. Sick supports to be added soon. Tickets on sale from 10am local time this Friday 12th February. Start stacking those pennies and get stoked.